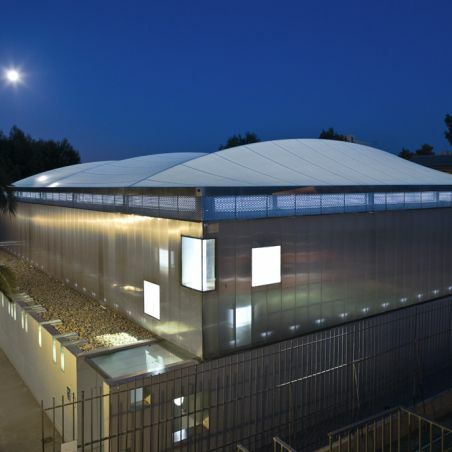 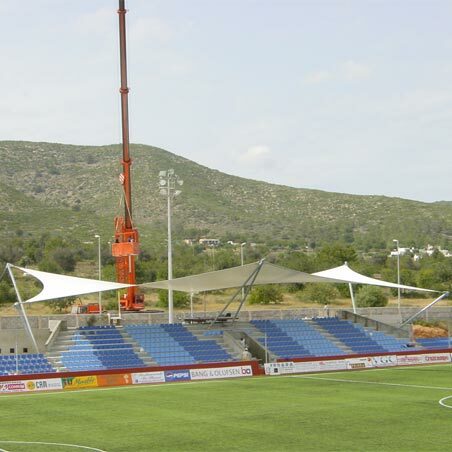 The new Camp Clar sports stadium was built to hold the 18th Mediterranean Games. 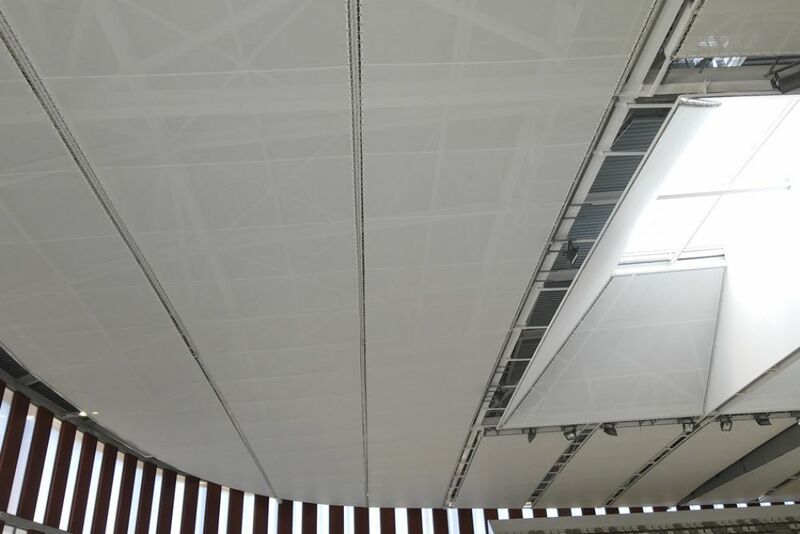 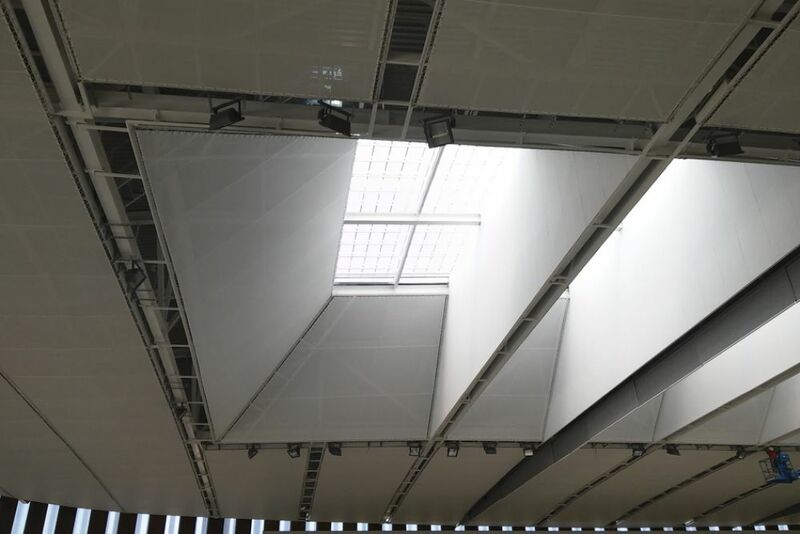 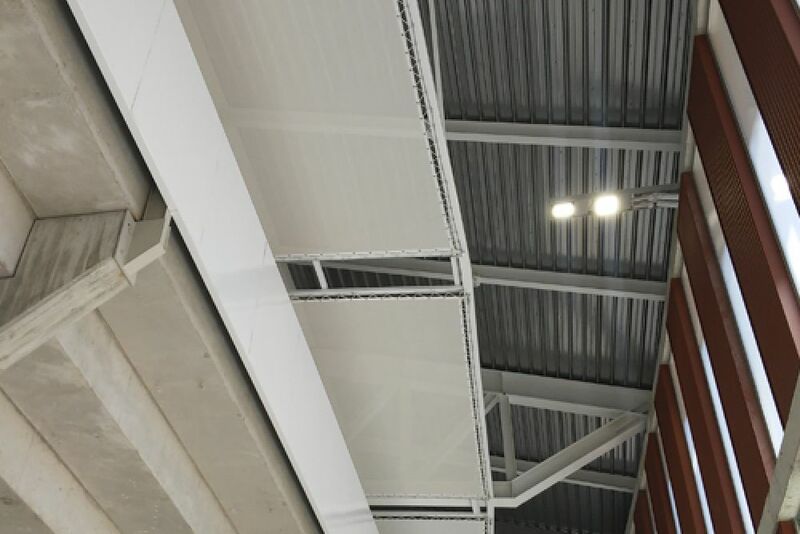 This sports arena has capacity for 5000 people, and a textile false ceiling has been installed under the metallic structure of the cover. 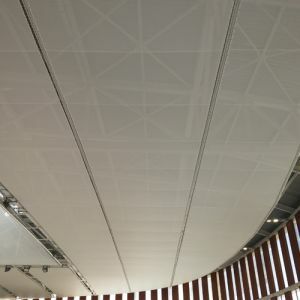 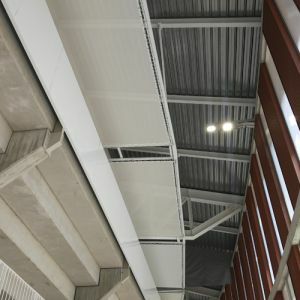 The membrane is fractioned into strips approximately 6 m wide, following the modulation of the metallic substructure. 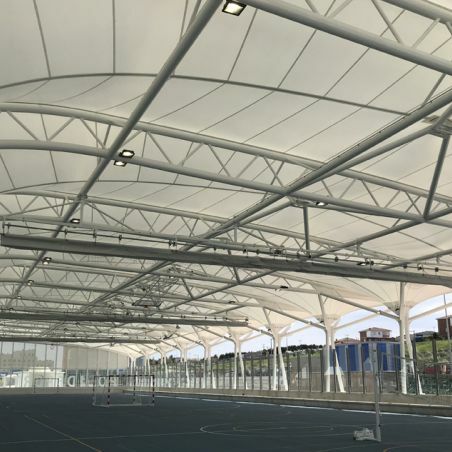 The surface area of 4494 m² is composed of 44 tarpaulins. 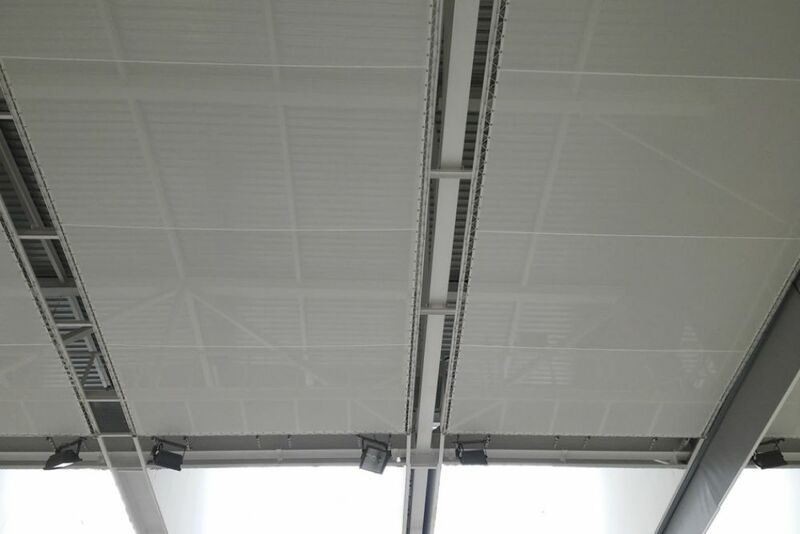 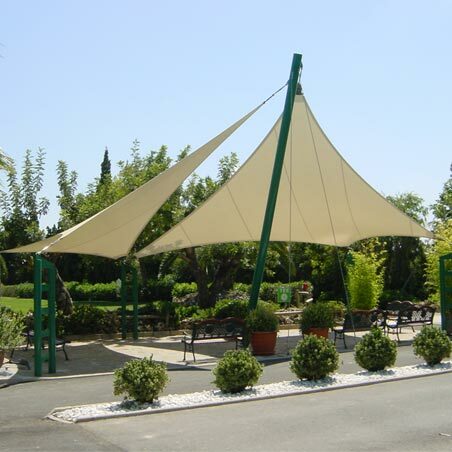 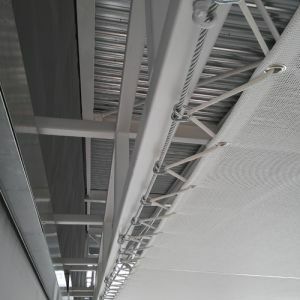 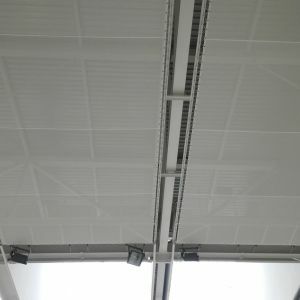 Project carried out from the installation of a cover of membranes. 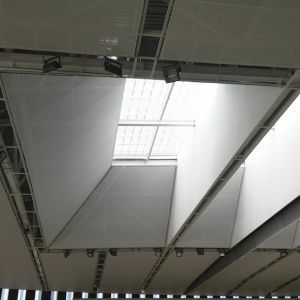 The membranes are shape-seeking and with decomposition by patterns to adapt perfectly to the structure's geometry. 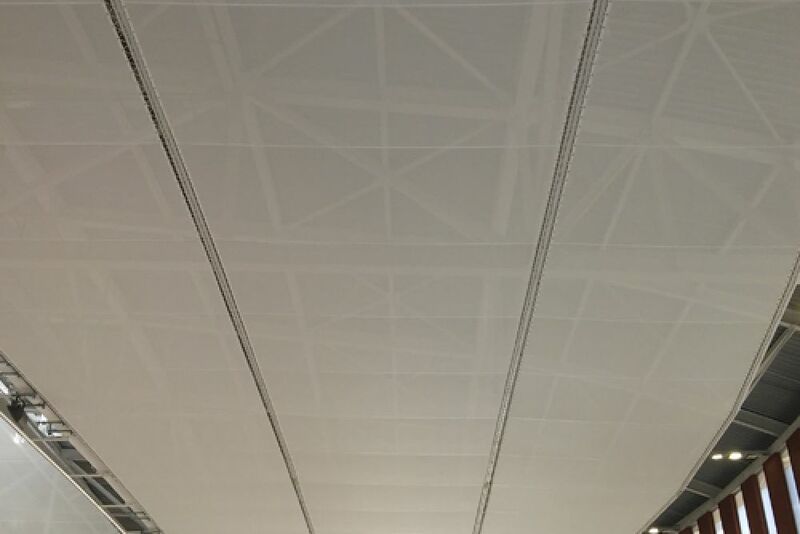 The fabric used is a white mesh, brand Ferrari and reference FT381. 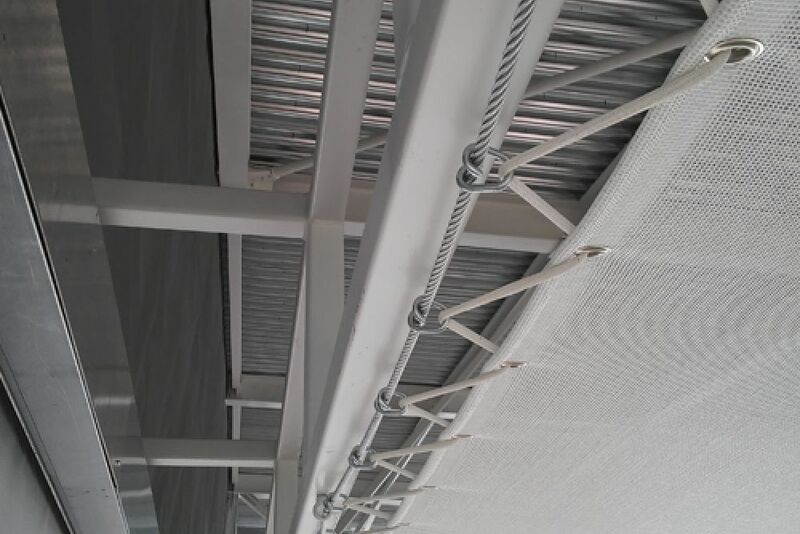 The tarpaulins are supported by a cords around the perimeter and a cable fixed to the metallic structure. 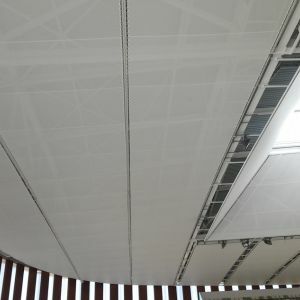 The fabric, with elastic cord, is of silicone, brand Ferrari, reference Silcord.